The Amway Center, a modern glass and steel sports venue, re-opened in the fall of 2010 to national acclaim. 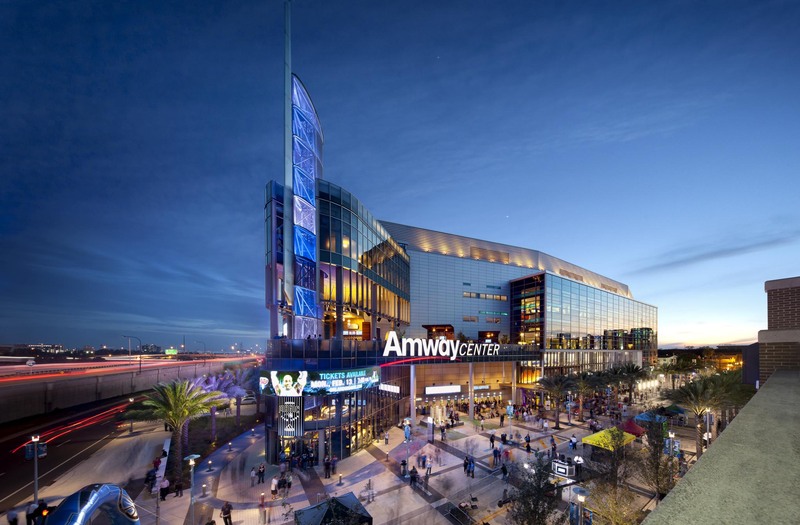 In 2006 the stadium underwent a nearly 500 million dollar renovation that was aligned with Orlando’s billion dollar downtown revitalization. The original building lacked the technological panache of the modern arena. 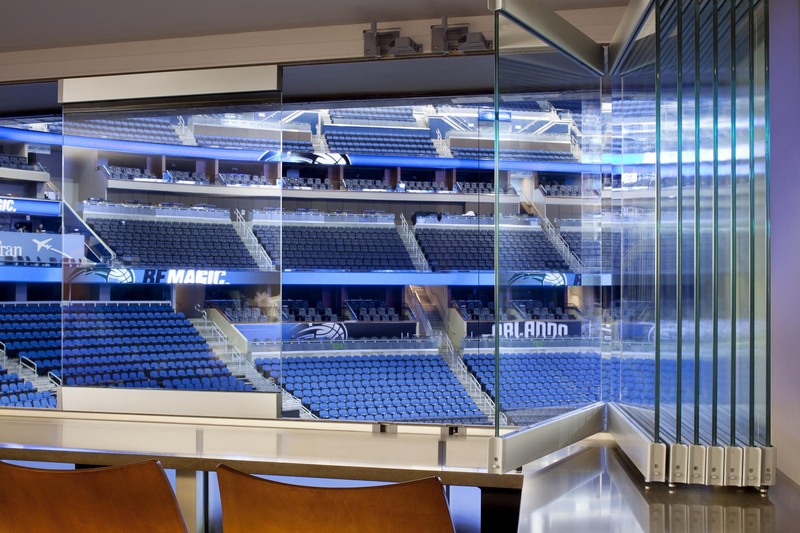 One of the interior highlights of the updated Amway Center was its use of the ultra-modern retractable window wall systems. 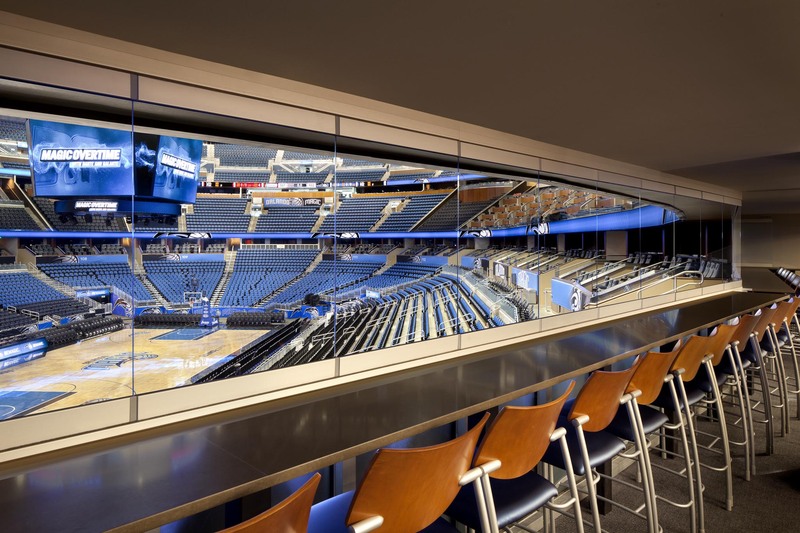 Baker Barrios Architects (BBA) selected NanaWall folding systems for the luxury suites and banquet center. They were faced with a key design challenge: how to capture the drama with a close proximity to the action, and still maintain privacy when desired. 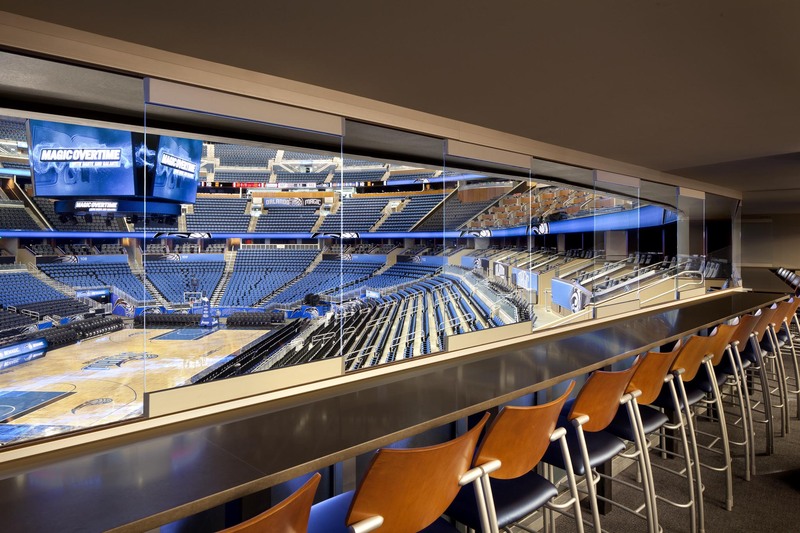 BBA’s solution was to install the SL45 aluminum and SL25 all-glass systems in the 875,000-square-foot facility. 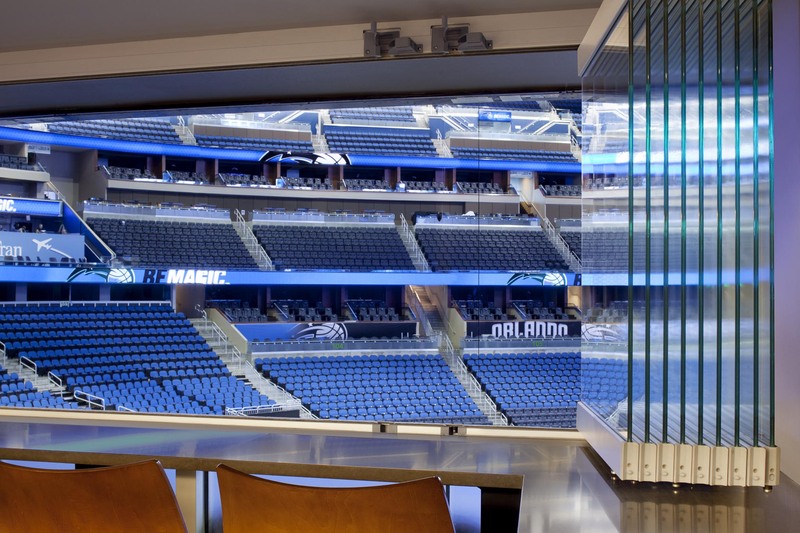 The all-glass panel systems in the 327 suite boxes, 1,428 club seats, and 66 luxury suites are easy to operate and magically turn the seating areas into private rooms or open viewing areas. 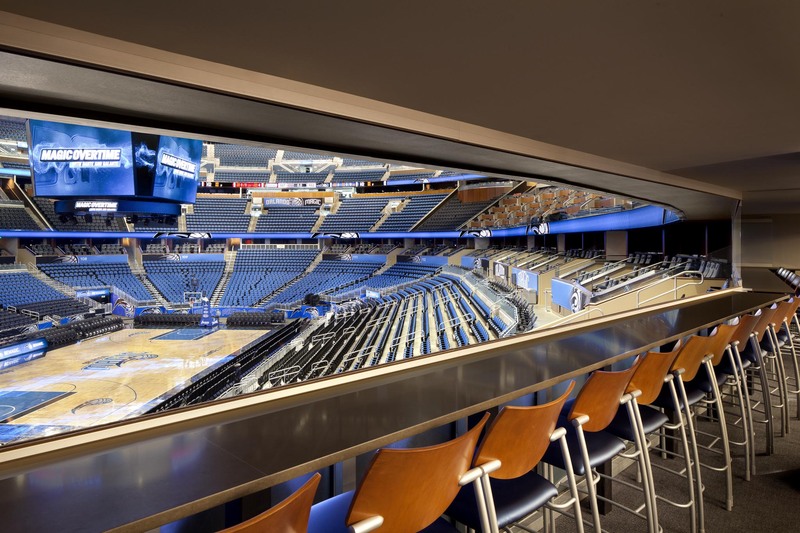 “Throughout the country, stadium and arena owners are looking for ways to attract fans and increase revenue year-round,” said George Wiedenhofer of NanaWall Systems. 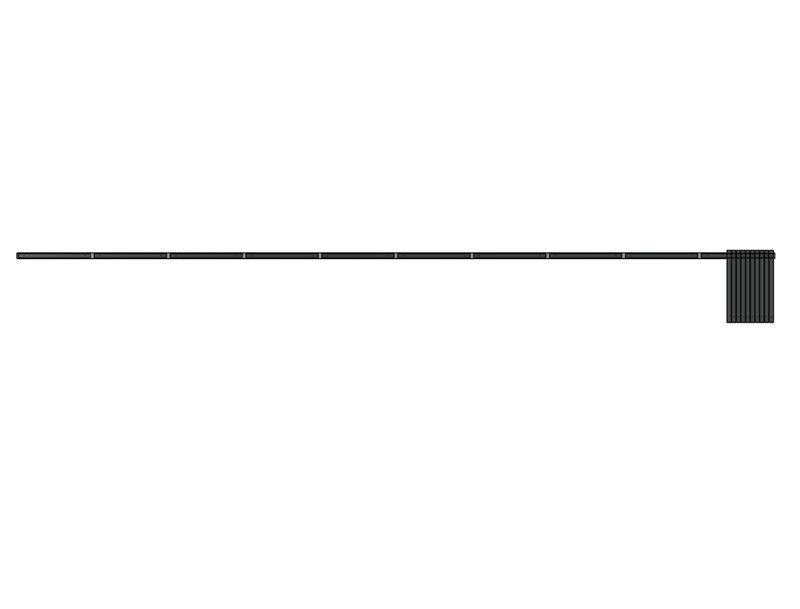 “In particular, we are seeing growth in smaller regional and local sports teams. Fans like to be comfortable. 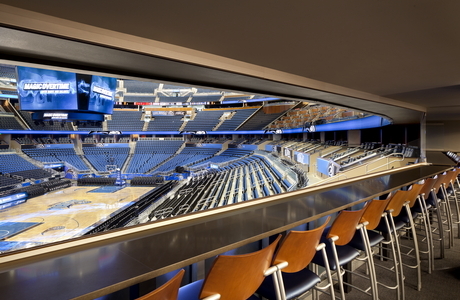 Sports venue owners see that creating a great atmosphere and luxury seating options pay off. 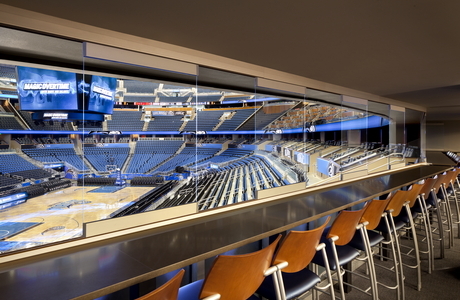 The large glass opening walls in the entertainment facilities at Amway Center illustrate this. 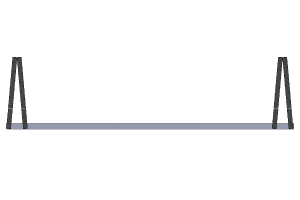 They create a dynamic entertaining space for concerts, corporate functions and special events. Because of the excellent acoustic performance of the NanaWalls, guests can seclude themselves when the walls are closed. 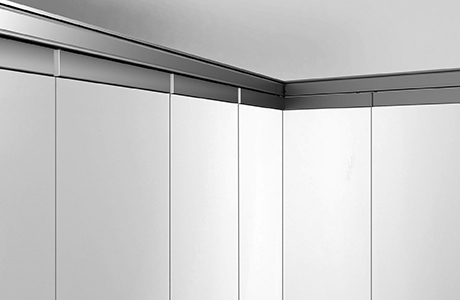 Each panel opens or closes individually, and slide and stack inconspicuously to the sides. 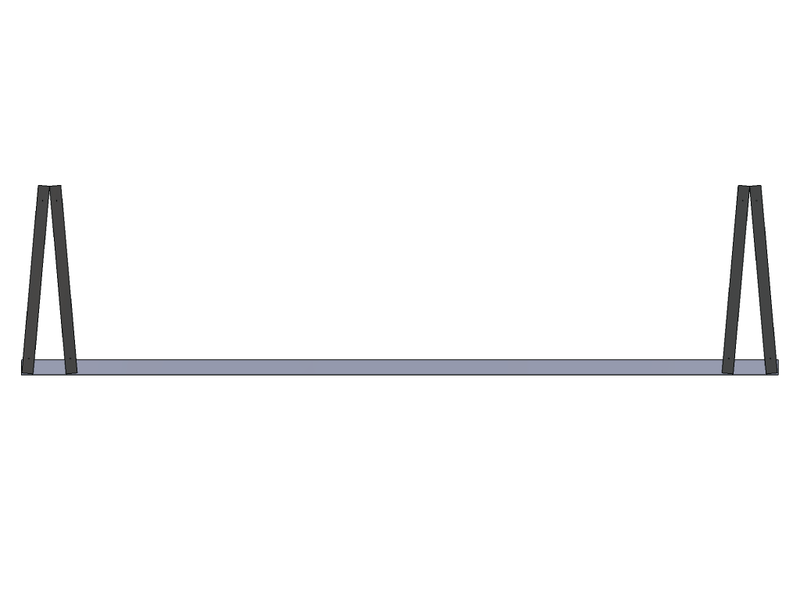 The walls are also engineered to withstand high impacts, obviously important in a bustling arena. The luxury suites used the folding system SL25, which when open or closed allows for a single, large and uninterrupted viewing of the arena and basketball courts below. 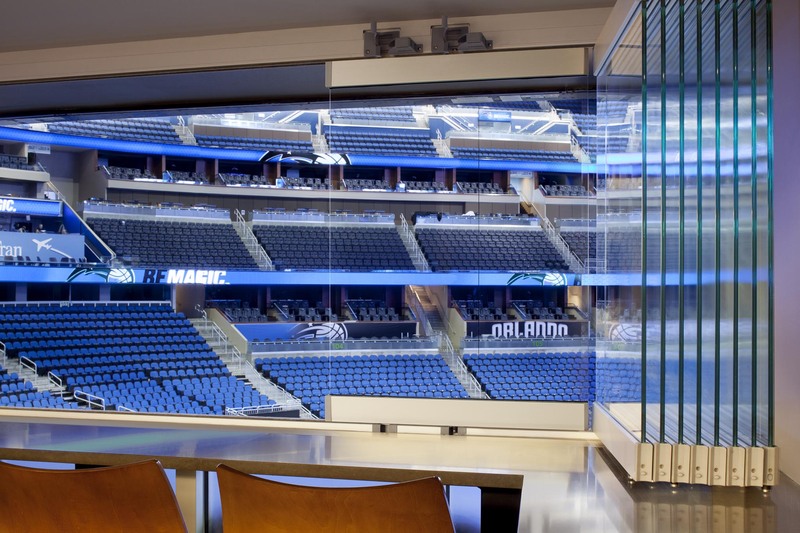 The frameless system has no fenestration and complements the modern finishes throughout the building. 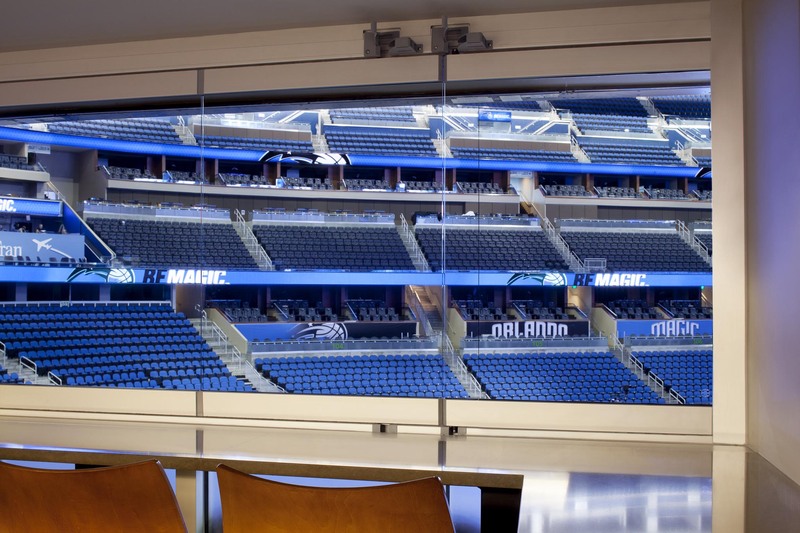 Since opening in 2010, the new Amway Center became both the gem of the NBA and a breath of fresh air for a stagnant area of Orlando. The arena has revitalized the neighborhood as more than 20 new businesses opened within sixth months of the reopening.